The fifth phase of Thuru – Attanagalu Oya Tree Planting Campaign was held in Yakkala on 13 January. 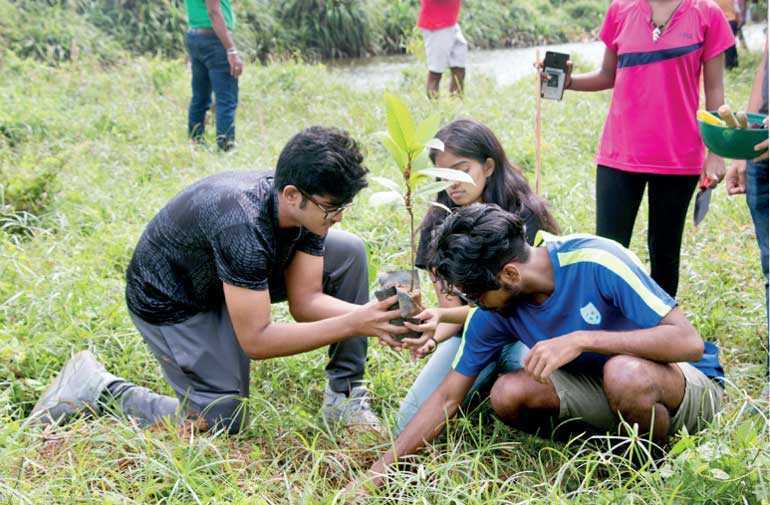 So far, around 750 trees have been planted in the surrounding areas of Attanagalla stream in four segments as a part of the series. As an organisation, Thuru works with different communities and terrains across the country that are most vulnerable to the effects of climate change, like drought, floods and intense winds. 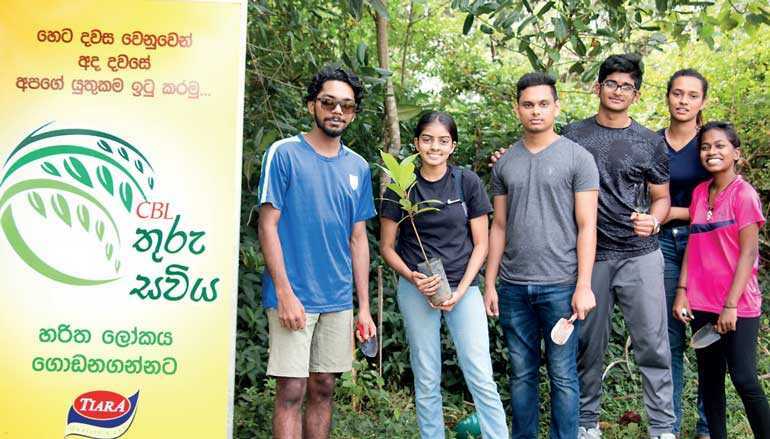 The fifth tree planting campaign around Aththanagalu Oya was sponsored by Ceylon Biscuits Ltd.
A group of generous partners and volunteers came together last Sunday to help with this special campaign with the aim of replenishing the forest coverage around Aththanagalu Oya. Upon the approval and guidance by the Department of Forestry, 150 trees from kumbuk, mi, hora, siyambala to kohomba were planted on the river banks and along the paddy fields of a land which belongs to the Irrigation Department. The plantings covered considerable portions of land on numerous tributaries of Aththanagalu Oya, providing a buffer zone between the stream and the land. 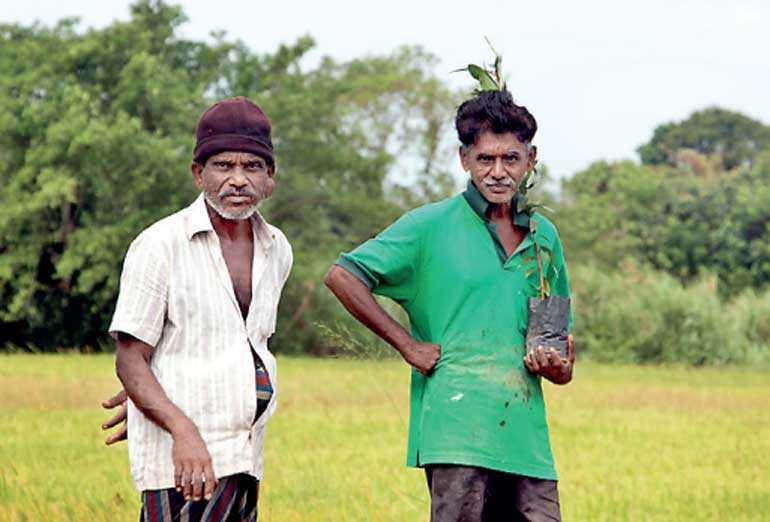 Though still small, Thuru is an example of how a community can successfully adapt to the growing challenges created by climate change and replenish Sri Lanka’s green canopy again. 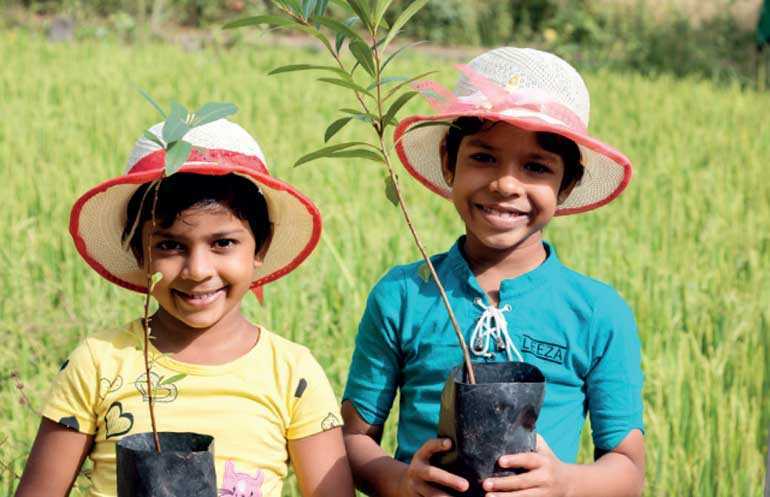 Thuru began in 2016 with a mission to plant two million trees by end of 2020. Since then, a variety of different tree species have been incorporated into their reforestation efforts, many bearing ecological benefits and valuable fruits to the area. Together, Heminda Jayaweera and Hasanka Padukka created Thuru and formed a team of 15 core members and around 75 volunteers. 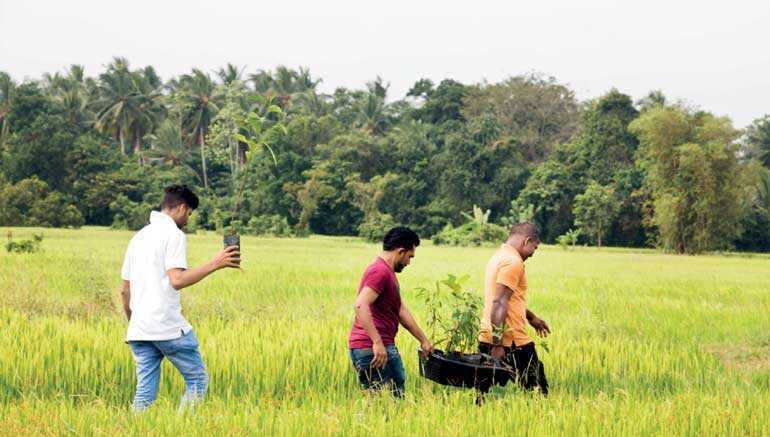 With the support of The Forest Department, partners and commercial sponsors, Thuru continues to embark on their mission, inviting volunteers to join their green campaigns. They also involve school children, youth and local community members in the tree-planting. “You will be surprised if I say that Gampaha has the lowest forest coverage in Sri Lanka. According to a survey, as a proportion of land area covered by forest, the district accounts for only 1.6% from the entire island. This is a heavily populous region which is environmentally at a higher risk due to its industrial activities. There is a critical need to restore the lost green cover in our area. 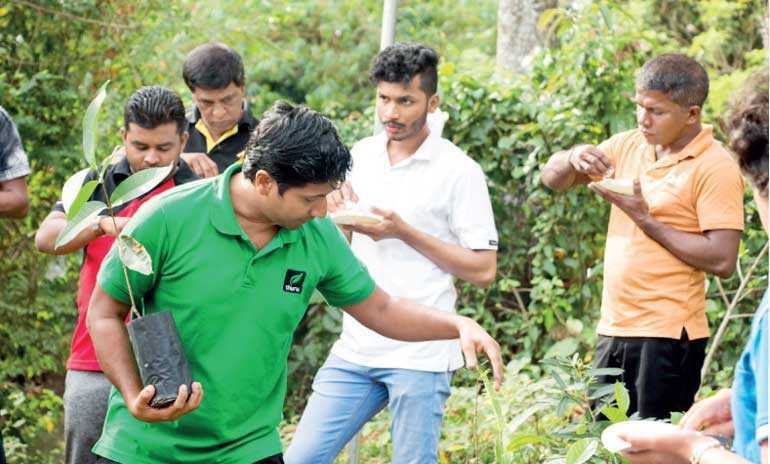 It is our collective responsibility,” said Devani Jayathilake, Forest Officer from Gampaha District. In addition to being oxygen-producers, trees provide a range of other important benefits to the environment by improving water quality, absorbing and filtering pollution from our soil and air. It is not only about the number of trees that Thuru plants but also what kind. For their campaigns, the team carefully selects native plants that support the biodiversity of the region such as kumbuk, mee, kos, nelli, kohomba, magul karanda and hora, etc. Thuru’s greening efforts have shown positive results since its inception and the team enjoys broad support from the local communities it serves. The successful initiative which is hailed as a model of public and private sector cooperation and volunteerism has garnered praise among Sri Lankans. Heminda says Thuru wants to share the digital solutions they have developed on with everyone. Thuru is an important step toward greening Sri Lanka that keeps evolving with a cadre of volunteers, funders and project partners. 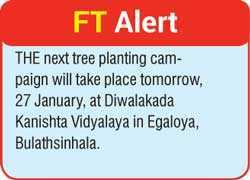 The next tree planting campaign will take place tomorrow, 27 January, at Diwalakada Kanishta Vidyalaya in Egaloya, Bulathsinhala. It is great to see children at a very young age contributing to a good cause while learning the importance of maintaining the forest cover.